Pharmaceutical Industry understands the growing importance of strategic outsourcing planning. A robust quality system facilitates both a Good Manufacturing Practice & a Good Business Practice. The well-organized quality system which is effectively managed, has resulted in consistent predictable outcomes. Amanta products are therefore reliable. Being a cGMP facility, we strive continuously to determine proper implementation of good manufacturing systems & regulations through continuous training of the factory personnel. Our ceaseless efforts are directed towards maintaining highest quality standards. We continuously enhance our facilities, upgrade our technology and install new instruments as per 21 CFR. Assessing the suitability of Incoming Components, Closure Labeling, In Process Materials & Finished Products. Evaluating the performance of the manufacturing process to ensure adherence to proper specification & limits. Determining the acceptability of each batch for release. Developing norms, standards and guidelines for quality assurance. Review & Approval of all procedures related to production & maintenance. Auditing & Performing/Evaluating Trend Analysis. 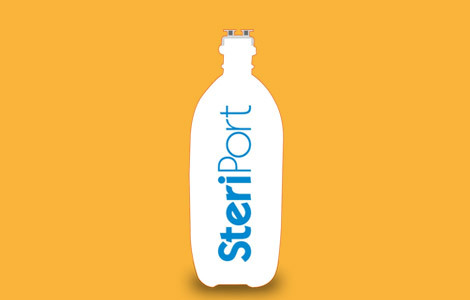 Amanta Proudly Presents SteriPort The revolutionary I.V. Fluid Container.